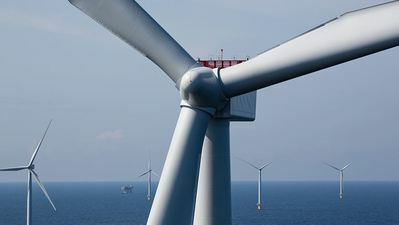 Traditionally, a wind turbine blade inspection required technicians to rappel down a stopped turbine in remote areas – sometimes at sea – to take pictures of cracks and faults in a turbine’s blades. Or it involved someone on land taking pictures with a telescope and camera. The work was often time-consuming and challenging. Siemens Gamesa SG 3.4-132 onshore wind turbine. 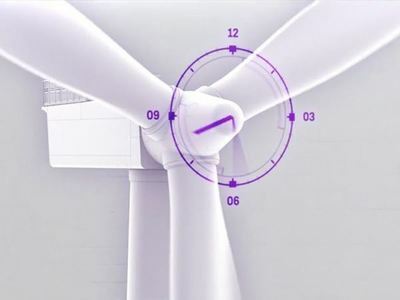 But a year and a half ago, Siemens Gamesa Renewable Energy, a global leader in the wind power industry, transformed the process with autonomous drones and a digital solution called Hermes. The aircraft capture high-resolution images quickly, while the solution analyzes images for potential blade damage, all resulting in safer, faster and more accurate inspections. 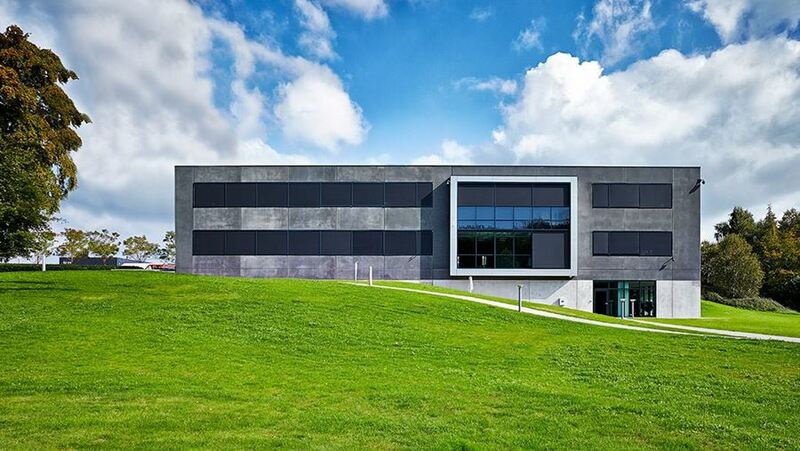 Based in Spain, the company is now further improving the solution by migrating it to Microsoft Azure and infusing it with Azure AI to process image recognition. The digital enhancements will enable Siemens Gamesa to streamline blade inspections even more, in its mission to make renewable energy more affordable and the future more sustainable. 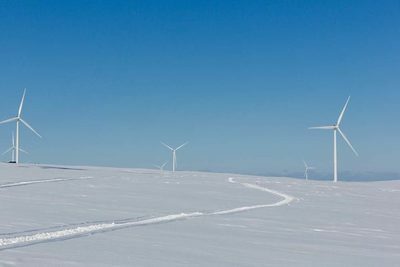 Siemens Gamesa wind turbines in Morocco. 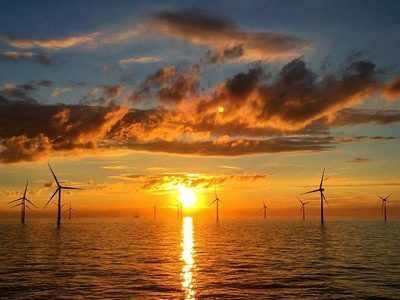 “Hermes is taking a huge leap forward with the collaboration with Microsoft,” says Christian Sonderstrup, service chief digital officer at Siemens Gamesa, which has installed wind power technologies in 90 countries. Levelized cost of energy is the lifetime cost of an asset divided by the amount of electricity produced. The drones, which will inspect 1,700 turbines this year, are fast, precise photographers, capturing about 400 images of a turbine’s three blades in 20 minutes. The images form an overview of blade condition and needed repairs, but the need to manually sort and stitch them has been a challenge. The laborious task was recently evident in a large inspection project involving 100,000 photos. The DanTysk offshore wind power plant supplies electricity for up to 400,000 households in Germany. Integrating Azure AI services will greatly speed up the process, with image recognition that can stitch images into an accurate model of an entire rotor in 34 seconds. The same job with manual stitching takes four to six hours and could lead to errors. AI tools can differentiate blades from water, sky and other irrelevant elements; distinguish cracks and faults from, say, bird droppings; integrate drone location and camera zoom data for precise stitching; and classify faults by type and severity. “To review all the photos is a huge task,” says Karner-Gotfredsen. 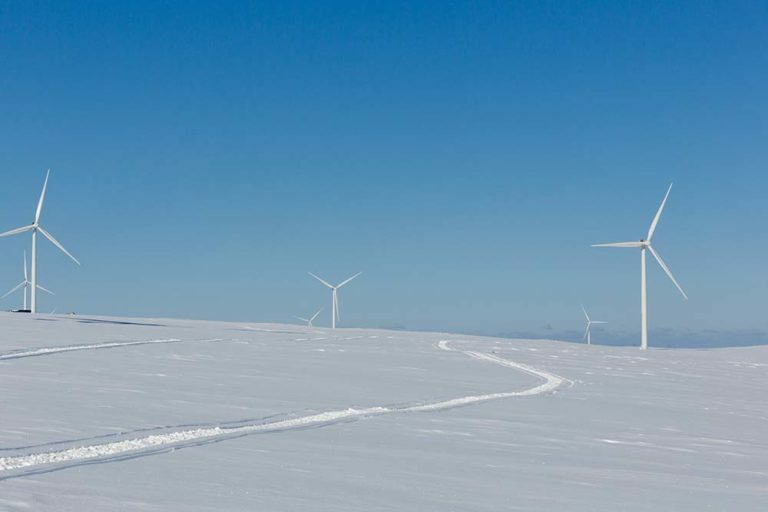 Faster, accurate inspections mean less downtime of turbines, earlier detection of faults, better predictive maintenance and fewer costly repairs – all contributing to more affordable wind power. For Karner-Gotfredsen, the cloud will also help optimize projects like one she managed last year, involving a customer’s inspection of several wind parks. 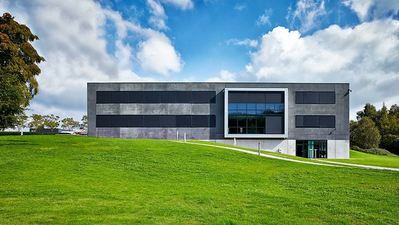 The data was difficult to share among Siemens Gamesa, the customer and a third-party reviewer, requiring Karner-Gotfredsen to send and receive it on a hard drive several times, along with cumbersome spreadsheets in email. Turning powerful insights into smarter wind power. Diagnostic Center. “The fact that we now can have the data going directly into Hermes with the cloud, without us having to carry hard drives, and having the data automatically sorted and stitched, saves us many people hours,” she says. AI-powered blade analyses are also part of Siemens Gamesa’s goal to provide complete, 360-degree digital coverage of customers’ turbines. And they’re part of a digital strategy that focuses on productivity, digital extensions of current business offerings and new digital businesses. 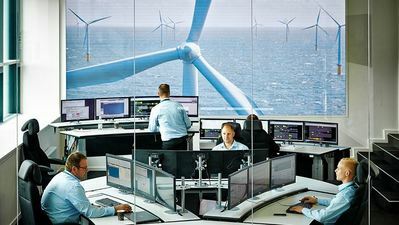 Turning powerful insights into smarter wind power. 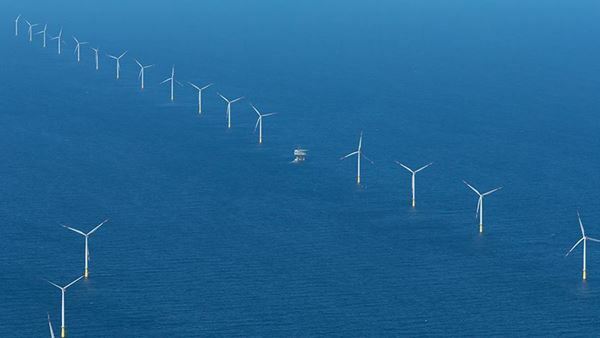 As Siemens Gamesa advances the strategy, it’s using Microsoft 365 and Azure as its IT foundation for developing new innovations that are scalable, robust and insightful. “We aspire to be the digital leader in renewable energy,” says Sonderstrup.